Is there a better alternative to Handy Safe Desktop? 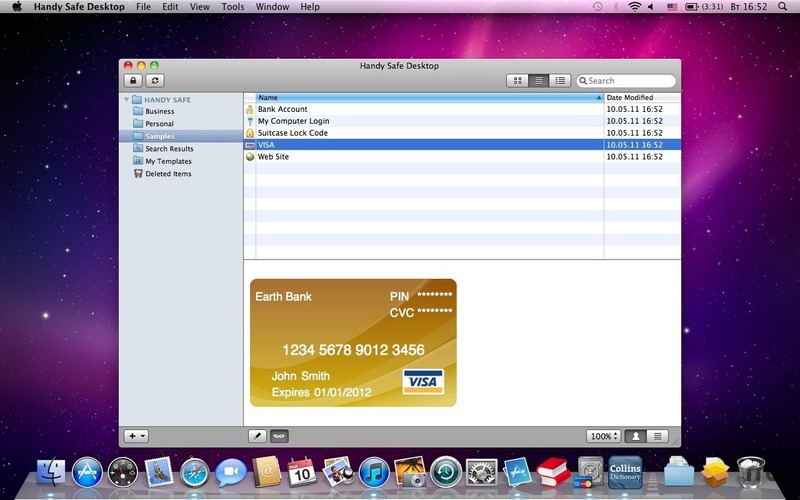 Is Handy Safe Desktop really the best app in Personal Info Managers category? Will Handy Safe Desktop work good on macOS 10.13.4? Version 1.02: Release notes were unavailable when this listing was updated. Handy Safe Desktop needs a review. Be the first to review this app and get the discussion started! Handy Safe Desktop needs a rating. Be the first to rate this app and get the discussion started! 35+ predefined templates to store passwords, credit card details, codes, accounts (banking, email, Internet, shopping), web pages, addresses, travel info, insurance policies, software keys and much more. Strong encryption guarantees absolute safety of your confidential information. There is no effective code breaking method currently known. Quick search of forms and folders. Multilingual interface: Czech, English, Japanese, Polish, Portuguese, Russian, Spanish.